Hygiene services that place emphasis on service and commitment. Find Out More About Our Full Range of Hygiene Services. Our comprehensive range of hygiene services place emphasis on service and commitment, we offer competitive pricing and a first class service. We consider communication and instant response to be an essential part of our commitment to our customers. We view our business with our customers as a “partnership” of service and value which enables us to retain customers year after year. We provide the full feminine hygiene solution from supply of brand new Sanitary Bins through to safe disposal with our ‘Duty of Care’ documentation left on each visit. Nappy bins available in white and yellow finishes. All bins are pedal bins and 50- 65 litre capacity. Strong biological sachets are inserted into bins to counteract malodours and germs. Our hygienic medical bins are pedal 50 litre medical bins, ideal for incontinence and other medical waste. We have a great range of products and services available. Allowing flexible fragrancing, the Air Freshener units we supply give you complete control, delivering a customised solution for all applications. All the units Astral us are easy to programme and is set set on a 30 day or 60 day service. In nature, Ozone, or Tri Atomic Oxygen as it is also known, is an allotrope of Oxygen produced by the action of high energy discharges in lightning on Oxygen in the atmosphere. Ozone is second only to fluoride as the most powerful oxidant for sanitation. Due to more uric salt being present in men than in women , bad odors often emit from a build up of uric salt and lime scale in gents toilets .Pipe blockages are sometimes prevalent in gent’s urinals due to this build up. Chemical sanitizers and urinal sleeves can resolve these problems. Water Management That Complies with Bye Law 83 – Dept for The Environment, Food & Rural Affairs (Water Supply) Regulations 1999, schedule 2. Every Pipe that supplies water to a urinal must be fitted with a form of water flow control. FOAM SEATSAN – Dispenses virucidal / bactericidal toilet seat sanitising foam. The ultra economical foam uses 30% less consumable than a comparable fluid sanitiser and kills 99.99% of bacteria found on toilet seats. The consumable also conforms to European bacterial and fungicidal standards. Dust Mats (Plain or With Logo) Serviced Fortnightly. Keep walkways, staff and public areas looking clean and tidy with or with your branding. 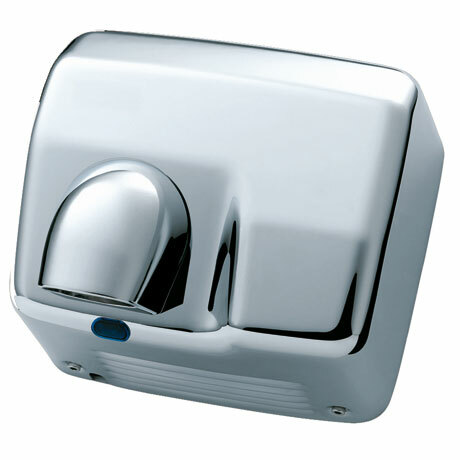 Towel Dispensers – Available in white, satin or chrome finishes and for dispensing both “C” fold or interleave paper hand towels. 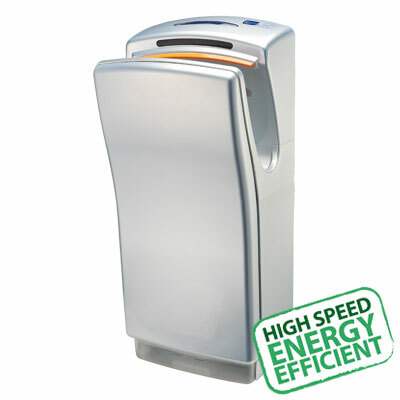 Toilet Roll Dispensers – Twin Roll Dispensers with spare roll Jumbo & Mini Jumbo. 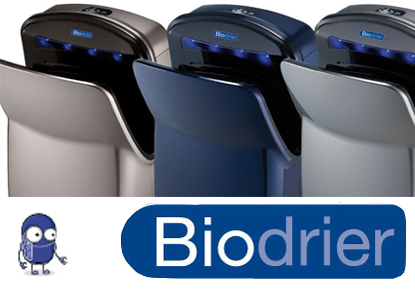 With the several recent increases in paper hand towel prices, and blockage problems in toilets , caused by people discarding paper towels into the toilet, many businesses are changing to the more efficient less costly and more eco friendly warm air driers. Full range of manual or automatic, metal or abs finish vending machine.Both Dual & Multi Vend Available with a comprehensive selection of product offerings. Astral offers a range of vertical and horizontal , wall mounted baby changing tables. Made from strong high density polyethylene (which inhibits bacterial growth, and is easy to clean. Tables are comfortable, strong and safe. Tested to 177kg. Astral Hygiene provides a full range of consumable products, at very competitive prices. Our consumable products cover all your washroom needs and ensure that your hygiene standards are not compromised. We have access to a variety of hygiene products and our range of consumable products includes: Paper towels, Toilet rolls, Liquid soap, Back Bags, Clear bags, Cleaning materials etc… ensures we have you covered. Contact Us Today For More Information.